Purpose- The purpose of this study is to investigate the usage of social customer relationship management (SCRM) and its impact on firm performance in the telecommunication industry particularly the mobile services in Egypt. Design/methodology/approach- This study used qualitative approach, which consists of semi- structured interviews. Twelve semi- structured interviews were conducted with the top management level from the four existing mobile operators in Egypt namely Vodafone, Orange, Etisalat and We. Data collected were analysed by using themed analysis. Findings- It has been found that SCRM is a crucial tool for keeping long term relationships with customers which in turn affect the firm performance in terms of Growth and profitability in the Egyptian mobile telecommunication services. Originality/value- This study contributes to the body of knowledge by providing insights and explanations regarding the extent to which the mobile operators use SCRM and how it affects their firm performance in Egypt, as one of the developing countries. Additionally, this study offers guidelines to the service providers particularly the mobile operators with valuable visions into the development of effective SCRM to be able to achieve a sustainable competitive advantage. Agnihotri, R., Dingus, R., Hu, M.Y. and Krush, M.T. (2016), “Social media: Influencing customer satisfaction in B2B sales”, Industrial Marketing Management, Vol. 53, pp. 172–180. Ahani, A., Rahim, N.Z.A. and Nilashi, M. (2017), “Forecasting social CRM adoption in SMEs: A combined SEM-neural network method”, Computers in Human Behavior, Vol. 75, pp. 560–578. Alt, R. and Reinhold, O. (2012), “Social-customer-relationship-management (Social-CRM)”, Wirtschaftsinformatik, Vol. 54 No. 5, pp. 281–286. Assimakopoulos, C., Papaioannou, E., Sarmaniotis, C. and Georgiadis, C.K. (2015), “Online reviews as a feedback mechanism for hotel CRM systems”, Anatolia, Vol. 26 No. 1, pp. 5–20. Ayanso, A. (2012), “Social CRM: platforms, applications, and tools”, Software Reuse in the Emerging Cloud Computing Era, Vol. 20. Barney, J. (1991), “Firm resources and sustained competitive advantage”, Journal of Management, Vol. 17 No. 1, pp. 99–120. Barney, J., Wright, M. and Ketchen Jr, D.J. (2001), The Resource-Based View of the Firm: Ten Years after 1991, Elsevier. Bishara, A. and Wahba, K. (2004), “3 rd Generation Mobile Technology Impacts on the Profitability: A Systems Dynamic Approach”, De System Dynamics Conference, Oxford, England. Booth, N. and Matic, J.A. (2011), “Mapping and leveraging influencers in social media to shape corporate brand perceptions”, Corporate Communications: An International Journal, Vol. 16 No. 3, pp. 184–191. Brasel, S.A. (2012), “How focused identities can help brands navigate a changing media landscape”, Business Horizons, Vol. 55 No. 3, pp. 283–291. Buzzetto-More, N. (2013), “Social media and prosumerism”, Proceedings of the Informing Science and Information Technology Education Conference, Informing Science Institute, pp. 67–80. Castronovo, C. and Huang, L. (2012), “Social media in an alternative marketing communication model”, Journal of Marketing Development and Competitiveness, Vol. 6 No. 1, p. 117. Charoensukmongkol, P. and Sasatanun, P. (2017), “Social media use for CRM and business performance satisfaction: The moderating roles of social skills and social media sales intensity”, Asia Pacific Management Review, Vol. 22 No. 1, pp. 25–34. Choudhury, M.M. and Harrigan, P. (2014), “CRM to social CRM: the integration of new technologies into customer relationship management”, Journal of Strategic Marketing, Vol. 22 No. 2, pp. 149–176. Day, G.S. (1994), “The capabilities of market-driven organizations”, The Journal of Marketing, pp. 37–52. Eisenhardt, K.M. and Martin, J.A. (2000), “Dynamic capabilities: what are they?”, Strategic Management Journal, pp. 1105–1121. Elena, C.A. (2016), “Social Media–A strategy in developing customer relationship management”, Procedia Economics and Finance, Vol. 39, pp. 785–790. El-Haddad, A. (2017), “Welfare gains from utility reforms in Egyptian telecommunications”, Utilities Policy, Vol. 45, pp. 1–26. Filo, K., Lock, D. and Karg, A. (2015), “Sport and social media research: A review”, Sport Management Review, Vol. 18 No. 2, pp. 166–181. Gensler, S., Völckner, F., Liu-Thompkins, Y. and Wiertz, C. (2013), “Managing brands in the social media environment”, Journal of Interactive Marketing, Vol. 27 No. 4, pp. 242–256. Greenberg, P. (2010), “The impact of CRM 2.0 on customer insight”, Journal of Business & Industrial Marketing, Vol. 25 No. 6, pp. 410–419. Greenberg, P. (2010), CRM at the Speed of Light: Social CRM Strategies, Tools, and Techniques for Engaging Your Customers, McGraw-Hill New York, NY. Hajli, M.N. (2014), “A study of the impact of social media on consumers”, International Journal of Market Research, Vol. 56 No. 3, pp. 387–404. Harrigan, P., Soutar, G., Choudhury, M.M. and Lowe, M. (2015), “Modelling CRM in a social media age”, Australasian Marketing Journal (AMJ), Vol. 23 No. 1, pp. 27–37. Hart, S.W. and Kassem, G. (2012), “Social customer relationship management-From customer to friend”, European, Mediterranean and Middle Eastern Conference on Information Systems, pp. 7–8. Heller Baird, C. and Parasnis, G. (2011), “From social media to social customer relationship management”, Strategy & Leadership, Vol. 39 No. 5, pp. 30–37. Hennig-Thurau, T., Malthouse, E.C., Friege, C., Gensler, S., Lobschat, L., Rangaswamy, A. and Skiera, B. (2010), “The impact of new media on customer relationships”, Journal of Service Research, Vol. 13 No. 3, pp. 311–330. Hudson, S., Huang, L., Roth, M.S. and Madden, T.J. (2016), “The influence of social media interactions on consumer–brand relationships: A three-country study of brand perceptions and marketing behaviors”, International Journal of Research in Marketing, Vol. 33 No. 1, pp. 27–41. Iriana, R. and Buttle, F. (2006), “Customer relationship management (CRM) system implementations: An assessment of organisational culture”. Kale, S.H. (2004), “CRM failure and the seven deadly sins.”, Marketing Management, Vol. 13 No. 5, pp. 42–46. Kietzmann, J.H., Hermkens, K., McCarthy, I.P. and Silvestre, B.S. (2011), “Social media? Get serious! Understanding the functional building blocks of social media”, Business Horizons, Vol. 54 No. 3, pp. 241–251. Kim, E. and Drumwright, M. (2016), “Engaging consumers and building relationships in social media: How social relatedness influences intrinsic vs. extrinsic consumer motivation”, Computers in Human Behavior, Vol. 63, pp. 970–979. Kumar, V. and Reinartz, W. (2012), Customer Relationship Management: Concept, Strategy, and Tools, Springer Science & Business Media. Kumar, V., Bhaskaran, V., Mirchandani, R. and Shah, M. (2013), “Practice prize winner—creating a measurable social media marketing strategy: increasing the value and ROI of intangibles and tangibles for hokey pokey”, Marketing Science, Vol. 32 No. 2, pp. 194–212. Küpper, T., Lehmkuhl, T., Wittkuhn, N., Wieneke, A. and Jung, R. (2015), “Social CRM Performance Model: An Empirical Evaluation.”, Bled EConference, p. 18. Lahiri, S., Kedia, B.L. and Mukherjee, D. (2012), “The impact of management capability on the resource–performance linkage: Examining Indian outsourcing providers”, Journal of World Business, Vol. 47 No. 1, pp. 145–155. 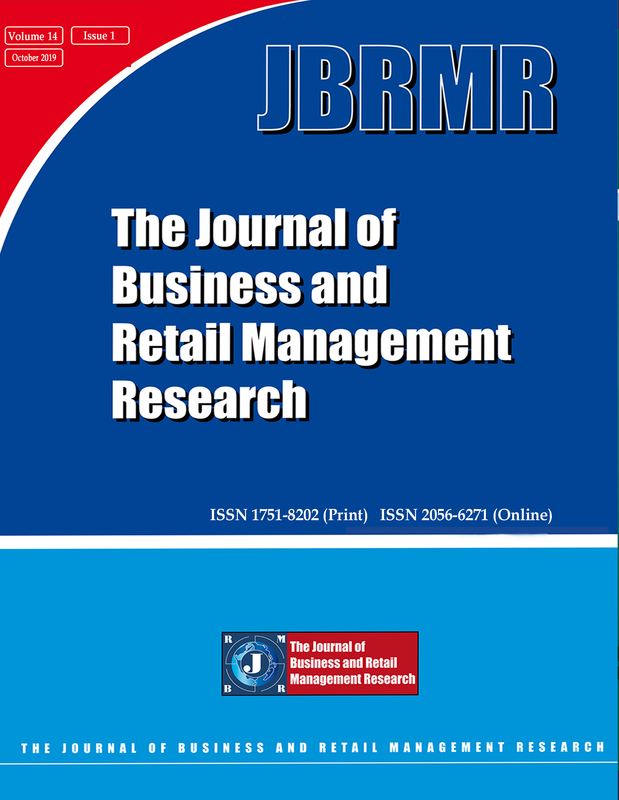 Lee, J.-S., Kim, S. and Pan, S. (2014), “The role of relationship marketing investments in customer reciprocity”, International Journal of Contemporary Hospitality Management, Vol. 26 No. 8, pp. 1200–1224. Maecker, O., Barrot, C. and Becker, J.U. (2016), “The effect of social media interactions on customer relationship management”, Business Research, Vol. 9 No. 1, pp. 133–155. Makadok, R. (2001), “Toward a synthesis of the resource-based and dynamic-capability views of rent creation”, Strategic Management Journal, Vol. 22 No. 5, pp. 387–401. Malthouse, E.C., Haenlein, M., Skiera, B., Wege, E. and Zhang, M. (2013), “Managing customer relationships in the social media era: Introducing the social CRM house”, Journal of Interactive Marketing, Vol. 27 No. 4, pp. 270–280. Morgan, N.A., Vorhies, D.W. and Mason, C.H. (2009), “Market orientation, marketing capabilities, and firm performance”, Strategic Management Journal, Vol. 30 No. 8, pp. 909–920. Munar, A.M. and Jacobsen, J.K.S. (2013), “Trust and involvement in tourism social media and web-based travel information sources”, Scandinavian Journal of Hospitality and Tourism, Vol. 13 No. 1, pp. 1–19. Nisar, T.M. and Whitehead, C. (2016), “Brand interactions and social media: Enhancing user loyalty through social networking sites”, Computers in Human Behavior, Vol. 62, pp. 743–753. Orenga-Roglá, S. and Chalmeta, R. (2016), “Social customer relationship management: taking advantage of Web 2.0 and Big Data technologies”, SpringerPlus, Vol. 5 No. 1, p. 1462. Palacios-Marqués, D., Merigó, J.M. and Soto-Acosta, P. (2015), “Online social networks as an enabler of innovation in organizations”, Management Decision, Vol. 53 No. 9, pp. 1906–1920. Parveen, F., Jaafar, N.I. and Ainin, S. (2015), “Social media usage and organizational performance: Reflections of Malaysian social media managers”, Telematics and Informatics, Vol. 32 No. 1, pp. 67–78. Payne, A. and Frow, P. (2005), “A strategic framework for customer relationship management”, Journal of Marketing, Vol. 69 No. 4, pp. 167–176. Peppers, D. and Rogers, M. (2011), “Return on Customer–How Marketing Actually Creates Value”, Marketing Review St. Gallen, Vol. 28 No. 3, pp. 14–19. Rapp, A., Beitelspacher, L.S., Grewal, D. and Hughes, D.E. (2013), “Understanding social media effects across seller, retailer, and consumer interactions”, Journal of the Academy of Marketing Science, Vol. 41 No. 5, pp. 547–566. Roberts, D.L. and Candi, M. (2014), “Leveraging social network sites in new product development: Opportunity or hype?”, Journal of Product Innovation Management, Vol. 31 No. S1, pp. 105–117. Rodriguez, M., Peterson, R.M. and Ajjan, H. (2015), “CRM/social media technology: impact on customer orientation process and organizational sales performance”, Ideas in Marketing: Finding the New and Polishing the Old, Springer, pp. 636–638. Rosman, R. and Stuhura, K. (2013), “The implications of social media on customer relationship management and the hospitality industry”, Journal of Management Policy and Practice, Vol. 14 No. 3, p. 18. Sano, K. and Sano, H. (2016), “The effect of social media on customer satisfaction and relationship strength in a service with high perceived risk in Japan”, Celebrating America’s Pastimes: Baseball, Hot Dogs, Apple Pie and Marketing?, Springer, pp. 435–439. Sarner, A., Thompson, E., Drakos, N., Fletcher, C., Mann, J. and Maoz, M. (2011), “Magic quadrant for social CRM”, Gartner, Stamford. Sashi, C.M. (2012), “Customer engagement, buyer-seller relationships, and social media”, Management Decision, Vol. 50 No. 2, pp. 253–272. Soltani, Z. and Navimipour, N.J. (2016), “Customer relationship management mechanisms: a systematic review of the state-of-the-art literature and recommendations for future research”, Computers in Human Behavior, Vol. 61, pp. 667–688. Teece, D.J., Pisano, G. and Shuen, A. (1999), “Dynamic capabilities and strategic management”, Knowledge and Strategy, Elsevier, pp. 77–115. Trainor, K.J. (2012), “Relating social media technologies to performance: A capabilities-based perspective”, Journal of Personal Selling & Sales Management, Vol. 32 No. 3, pp. 317–331. Trainor, K.J., Andzulis, J.M., Rapp, A. and Agnihotri, R. (2014), “Social media technology usage and customer relationship performance: A capabilities-based examination of social CRM”, Journal of Business Research, Vol. 67 No. 6, pp. 1201–1208. Wang, Z. and Kim, H.G. (2017), “Can social media marketing improve customer relationship capabilities and firm performance? Dynamic capability perspective”, Journal of Interactive Marketing, Vol. 39, pp. 15–26. Woodcock, N., Green, A. and Starkey, M. (2011), “Social CRM as a business strategy”, Journal of Database Marketing & Customer Strategy Management, Vol. 18 No. 1, pp. 50–64. Xu, M. and Walton, J. (2005), “Gaining customer knowledge through analytical CRM”, Industrial Management & Data Systems, Vol. 105 No. 7, pp. 955–971. Xu, Y. (2017), “Modeling the adoption of social media by newspaper organizations: An organizational ecology approach”, Telematics and Informatics, Vol. 34 No. 1, pp. 151–163. Zhang, M., Guo, L., Hu, M. and Liu, W. (2017), “Influence of customer engagement with company social networks on stickiness: Mediating effect of customer value creation”, International Journal of Information Management, Vol. 37 No. 3, pp. 229–240.